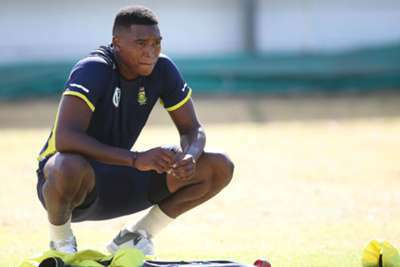 South Africa pacemen Lungi Ngidi and Anrich Nortje have been ruled out of the Indian Premier League. Ngidi was due to play for the Chennai Super Kings in the upcoming tournament, but the quick suffered a side strain in the fifth one-day international against Sri Lanka. Nortje signed up for the Kolkata Knight Riders for what was scheduled to be his first taste of the IPL. However, the 25-year-old, who made his Proteas debut in the ODI series sweep of Sri Lanka, will also play no part this season after damaging his right shoulder. Proteas team manager Dr Mohammed Moosajee said: "Lungi felt discomfort while bowling during the last ODI against Sri Lanka at Newlands and immediately stopped bowling. "Nortje sustained a right shoulder injury and will be sidelined for six weeks. "Unfortunately this injury will rule him out of the upcoming IPL, but with the World Cup in sight, it is important for us to make sure all of the World Cup hopefuls will be fit for selection."